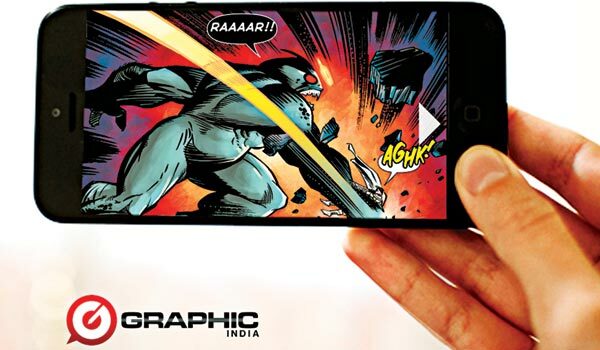 Newshunt, Indiaa��s leading news and eBooks app has partnered with Graphic India, one of the best known digital comic book companies, for a collaborative venture that will make geeks and nerds happy. The partnership will bring hundreds of Graphic Indiaa��s digital comics to mobile devices, to make them more accessible. a�?I have been a huge fan of Newshunt; it is a prolific ecosystem for books to become mainstream,a�? says Sharad Devarajan, founder and CEO of Graphic India, adding that since this format has worked in the West, it could easily catch on here, too. a�?With more than 500 million consumers under the age of 25, and more than 850 million mobile phone users in the country, the growth potential for character entertainment has only just scratched the surface,a�? notes the comic-book crusader. To start with, Graphic India will be giving away daily digital comics for free to NewsHunt users in English, Hindi, Tamil, Telugu, Malayalam and other languages. Involving a complete overhaul of the comics, Devarajan says that since it isna��t a tablet, it needs to be customised for the phone. a�?Wea��ve reformatted every single panel and that is approximately 40-50 panels a chapter! So wea��ll release a chapter every day to make it easy and intuitive,a�? he explains. You can expect Chakra The Invincible, the first superhero for India created by the legendary Stan Lee, 18 Days, a reimagining of the Mahabharata, by Grant Morrison, Sholay: Gabbar, featuring the back story of the cinematic villain, Devi, a female superhero from acclaimed filmmaker Shekhar Kapur, Ramayan 3392A.D. and Sadhu, to appear on your phones to begin with, before a�?every single one of our creations will be available on your hand-held device, tooa��.